The ‘Azhari’ suite is situated in the heart of Diani Beach, with the best possible views over the Indian Ocean. This unique space offers a very private set up in the comfort of 130 square/m of an ecologically and environmentally sensitive build. The suite consists of a modern & comfortable bedroom, supplemented by large glass doors on two side of the bedroom, which can be fully opened to experience the full panorama of this stunning tropical beach setting. 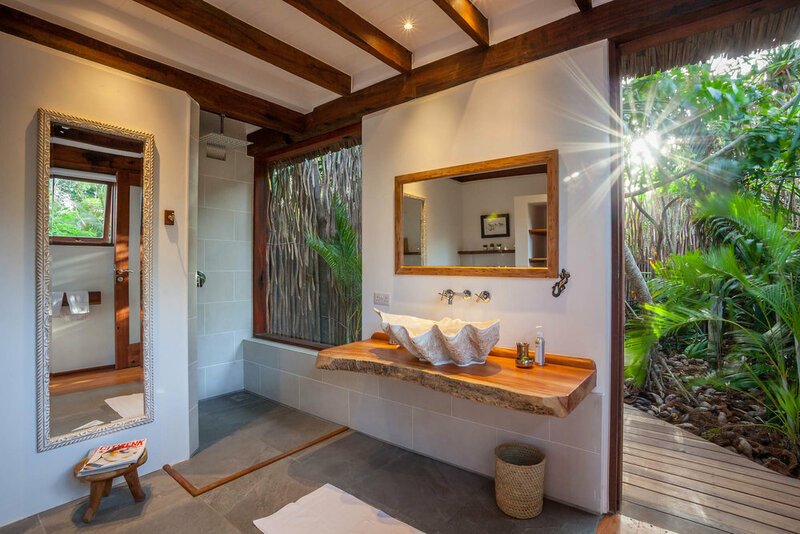 There is an en-suite bathroom with indoor shower, as well as an incredible private outdoor ‘forest’ shower for romantics. There is also a spacious and comfortable dining & living area directly in front of a private infinity swimming pool (2x2x4), complimented by a large chill out and sunbathing area with hammock, sun beds & beach shower. There is small kitchenette with a fridge offering a selection of soft and alcoholic drinks which are charged separately. All furnishings are hand made of re-claimed and recycled tropical hardwood. Privacy with a high standard of service is our priority. Our professional trained chefs are able to serve you international cuisine, using only the freshest ingredients available. All meals are served in your private dining area, offering you a direct view on to the Indian ocean. As long as you let us know in advance we will be happy to serve you either lunch or dinner, which will give you the opportunity and freedom to discover restaurants and bars all within walking distance from the property. Pamper yourself with a private massage, manicure or pedicure in the peaceful tranquillity of your own personal space. Depending on bookings we can be flexible on check in & out times. Please discuss this with the management prior to arrival or departure.